Travel writer Kirsty Stuart shares her love for Chiang Mai and explains why you can't miss it on your trip to Thailand. If you’re planning a trip to Thailand then you’re probably conjuring up images (both in your mind and in Google searches) of handsome little islands and white sandy beaches. While you’d be right to expect some of the best beaches that the world has to offer when you touch down in the land of smiles, that’s not the only natural beauty that Thailand has in store for you. 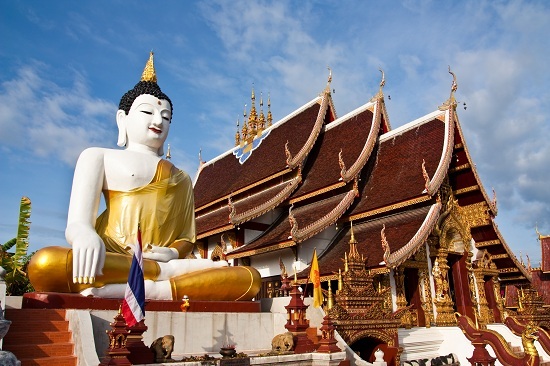 Chiang Mai has more than 300 temples (or wats) – an astonishing amount that gives even Bangkok a run for its money. They’re all diverse in their size, setting and appearance so exploring them really is a treat for the first time visitor. Because of the sheer number of them though, it’s probably wise to whittle it down to just a handful you’d like to see. Visit Wat Chedi Luang for size and grandeur, Wat Prathat Doi Suthep for sweeping views of the city and Wat Pra Singh for ogling at the amazing architecture. The best way to get around the city in Chiang Mai is to hire a bike and cycle between the different temples. Ah, the waterfalls. No trip to Chiang Mai is complete without visiting a waterfall (or two). Again, a day tour out to the jungle will provide you with the opportunity to explore beyond the city walls. Lots of tours in this area take in a waterfall (for viewing or swimming), a light trek, lunch and an opportunity to go bamboo rafting through the scenic waterways. There are worse ways to spend a day. 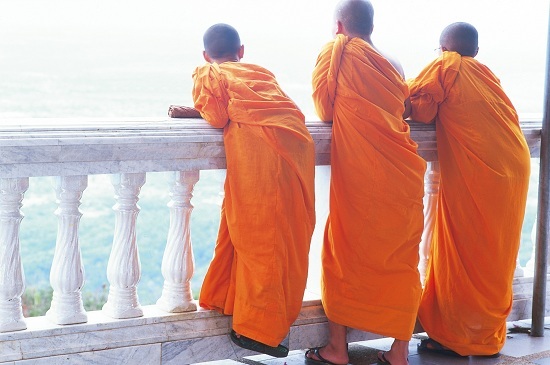 Chiang Mai is steeped in history and the city’s heritage is evident everywhere you go. This is a place that has its own distinctive culture of arts, festivals and traditions – from inside the walled and moated city centre to the surrounding mountains and natural beauty beyond. If you want a cultural insight into the traditional way of life there are plenty of day trips that will take you out of the city and into the smaller villages to visit tribal communities that originated hundreds of years ago. The shopping options in Chiang Mai are as wide-ranging as they are accessible. Want some hand-crafted souvenirs to take home? Perhaps some inexpensive clothes, or slightly more luxury items? You’ll undoubtedly find exactly what you need across Chiang Mai’s market stalls, family-run shops and shopping malls. The huge night market in town is worthy of a visit even if shopping isn’t normally your idea of fun. While some travellers to Chiang Mai prefer not to actually ride the elephants, animal lovers can still hang out with these huge beasts in their natural environments. It’s always wise to research and check reviews online and (particularly) with fellow travellers before visiting any elephant parks in the area. 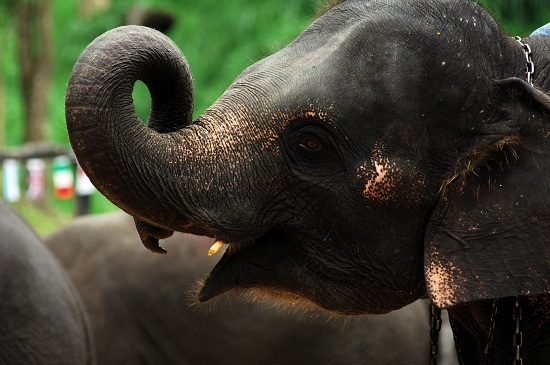 There are of course a number of elephant conservations and sanctuaries around Chiang Mai that care deeply for the elephants that live there and will welcome your willingness to get involved. If you’re really willing to get your hands dirty, in some parks you can even stay for a week and volunteer to care for and bond with the elephants full time. The charm and history of Chiang Mai and the stunning wilderness that surrounds it makes this one of the most unique places to visit in Southeast Asia. These are just some of the reasons why you shouldn’t miss Chiang Mai on a visit to Thailand though. If you have any others please feel free to extend this list by adding them into the comments section below. If you're planning a trip to the land of smiles, take a look at our flights to Bangkok from just £419.